Continue reading August 31, 2009- Vol. 10, Issue 46. The Israeli security expert answers questions about rebel fighting in northern Yemen, a Syrian-proposed regional alliance, and the indictment of former Prime Minister Olmert. 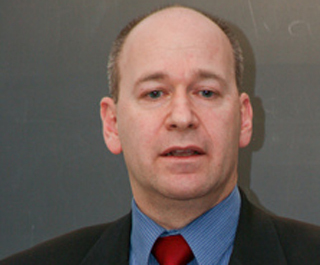 Continue reading Hard Questions, Tough Answers with Yossi Alpher - August 31, 2009. JTA Blogs: "Don't believe what you read?" Continue reading JTA Blogs: "Don't believe what you read?". Articles on Peace Now's call to raze 15 illegal structures in Kiryat Netafim settlement"
Continue reading Articles on Peace Now's call to raze 15 illegal structures in Kiryat Netafim settlement". Today's Haaretz features an article headlined "U.S. drops demand for Israel building freeze in East Jerusalem." A surprisingly authoritative-sounding headline, given the leak-free approach of the Mitchell team thus far. Savvy consumers of the news - including members of the peace camp who may be fearful that the Obama Administration, like so many US administrations that have gone before it, will eventually give in to Israel on these key issues - would do well to remember that in this kind of high-stakes political poker, a lot of what we hear in the press is spin (and bluffing). And we would all do well to wait and see what is actually agreed before passing judgment. If the agreement is good - however it is framed - then we will praise it. If it is bad, there will be plenty of opportunity to criticize it at that time. (d) apply not only to construction but also planning. Perhaps the most important take-away from her analysis is the following: yes, we'd prefer a freeze that includes every single structure and is permanent. But let's remember: a freeze is not an end in itself. The goal here is to get a freeze that is politically significant and sufficiently credible to help launch serious negotiations that, if they succeed, will render the details of the freeze irrelevant, since a final status agreement will resolve the issue, once and for all. A freeze that at a minimum meets the criteria laid out by Hagit, while not the perfect airtight freeze we would love to see -- for Israel's own sake -- would nonetheless be politically significant and sufficiently credible to help launch such negotiations. For this reason, we would gladly support such a freeze. The Cable: "Mitchell meets Netanyahu (UPDATED)" & BBC: "Israel-US settlement deal 'close'"
"Israel says it is nearing agreement with the US on settlement building in the occupied West Bank, after its PM held talks with a US envoy in London." Continue reading The Cable: "Mitchell meets Netanyahu (UPDATED)" & BBC: "Israel-US settlement deal 'close'". Yedioth Ahronoth: "Netanyahu: 'We've Moved Forward, The Palestinians Haven't'"
by Shimon Shiffer et al. In the course of his meeting with Brown, Netanyahu said that he would keep his promise to allow normal life to continue for the settlers. In other words, construction would continue to expand current settlements as well as public facilities -- but no new settlements would be created. Continue reading Yedioth Ahronoth: "Netanyahu: 'We've Moved Forward, The Palestinians Haven't'". Huffington Post: "Mitchell, Netanyahu Meet Over Settlement Freeze: What The Criteria Should Include"
Following the meeting between US Senator Mitchell and Israeli PM Netanyahu, it seems that Israel and the US are getting close to some kind of agreement or understanding about a settlement freeze. A settlement freeze is one of the key factors in order to enable a resumption of peace talks. Unfortunately, I doubt I have to begin to look for another job. Settlement activity will always be one of the most important issues on the political agenda of our region. Continue reading Huffington Post: "Mitchell, Netanyahu Meet Over Settlement Freeze: What The Criteria Should Include". Americans for Peace Now today mourns the passing of a Senator Edward Kennedy, a long-time advocate of peace for Israel. Continue reading APN mourns Senator Kennedy. Walla Online: "Settlement Freeze? Construction Continues as Usual"
Walla.co.il (online service) by Yehoshua Breier -- On the eve of Prime Minister Binyamin Netanyahu's meeting with special US envoy to the Middle East George Mitchell, in which the two men will discuss a settlement construction freeze, among other issues, today the Binyamin Regional Council has scheduled a tour for construction contractors in the settlement Neriya. Continue reading Walla Online: "Settlement Freeze? Construction Continues as Usual". Ha'aretz: "Barak vows outposts will be evacuated within weeks"
Defense Minister Ehud Barak intends to evacuate all unauthorized West Bank outposts within weeks. "The defense minister has declared a number of times that the evacuation of illegal outposts is our obligation as a democratic state," Barak's office said in a statement released Tuesday. "This is a process which will be implemented in weeks, not years." Continue reading Ha'aretz: "Barak vows outposts will be evacuated within weeks". Ynet: "MKs, leftists tour West Bank outposts" followed by JTA: "Left-wing Israeli lawmakers visit outposts" & Ha'aretz: "Left-wing activists and MKs tour outposts, call for them to come down By Chaim Levinson, Haarez Correspondent"
Continue reading Articles re: Peace Now Tour of West Bank with MK's & Other VIP's. What is Berman saying about settlements? I just sent this call to action out to our activists who live in Rep. Howard Berman's district. According to an article in Sunday's Haaretz newspaper, during a closed-door meeting with L.A. Jewish leaders on August 14th Rep. Howard Berman said that the Obama administration is "mistaken" in demanding Israel completely freeze construction in the settlements. Continue reading What is Berman saying about settlements?. Americans for Peace Now is seeking interns to assist in the Washington, DC office for the Fall 2009 semester. The Israeli security expert answers questions about a perceived disconnect between Washington and Israel on Middle East policy, and a batch of odd news items that cropped up during the August lull. Continue reading Hard Questions, Tough Answers with Yossi Alpher - August 24, 2009. Two videos embedded from Israel News (in English) about settlement construction, featuring Peace Now's Yariv Oppenheimer (pictured left), and Idan Goldberger. Continue reading Articles and Videos on Peace Now Settlement Report for first half of 2009. DPA: "Peace unlikely even in 16 years: Israeli Foreign Minister (Roundup)"
Jerusalem - Israel and the Palestinians have been unable to reach a peace deal in the 16 years since the signing of the Oslo interim peace accords, and it is likely they will be not do so in the next 16 years, Foreign Minister Avigdor Lieberman said Sunday. Continue reading DPA: "Peace unlikely even in 16 years: Israeli Foreign Minister (Roundup)". Ynet: "Minister Landau: Ya'alon was right - look at the Swedes" & "Peace Now: Landau inciting against Israel's Left"
Ynet: "Minister Landau: Ya'alon was right - look at the Swedes"
Ynet: "Peace Now: Landau inciting against Israel's Left"
Peace Now Secretary-General Yariv Oppenheimer said in response to the minister of national infrastructure that "Uzi Landau is continuing a dangerous incitement campaign against Israel's Left and encouraging an atmosphere of violence". Continue reading Ynet: "Minister Landau: Ya'alon was right - look at the Swedes" & "Peace Now: Landau inciting against Israel's Left". JERUSALEM (Reuters) - Western demands to freeze settlement-building seem likely to dominate talks Israeli Prime Minister Benjamin Netanyahu will hold with the U.S. Middle East envoy and political leaders in Britain and Germany this week. On the eve of the visit, Peace Now, an Israeli group opposed to Jewish settlements on Palestinian territory, said on Sunday that despite a government moratorium announced last week on approving new housing in the West Bank enclaves, more than 40,000 more homes could be built under plans already ratified. Continue reading Settlements Seen Clouding Netanyahu's Europe Trip. Read articles from Ynet, Ha'aretz, Yedioth Achronoth, Jerusalem Post, JTA, and Reuters, Ynet. Continue reading Articles re: Israeli Vice Prime Minister Ya'alon's "Peace Now is a virus" comment, responses, and condemnations. In a speech to Likud Party activists this week, Moshe Ya'alon -- Israel's Minister of Strategic Affairs -- lashed out at Peace Now. In order to save Israel, Ya'alon said, "we must deal with the issue of the virus that is Peace Now and, if you will, the elites. Their damage is very great. From my point of view, Jews should live in every part of the Land of Israel forever." Continue reading Ya'alon hate-filled rhetoric. Continue reading Some responses to Ya'alon's anti-Peace Now rhetoric. President Obama, following his meeting with President Mubarak, said yesterday: "There has been movement in the right direction" referring to the reports in the Israeli media that the government of Israel agreed to freeze construction in the settlements and not to issue new construction-tenders until the end of 2009. On one hand, we should be happy, because such a freeze proves that even an extreme right wing government cannot ignore the White House and run wild and build in the territories without limits. But on the other hand, the tenders which the government is freezing, are only a small part of the construction in the territories. On the ground there are several projects under construction in the settlements. Continue reading Huffington Post: "Partial Freeze On Israeli Settlements Reason To Be Cautiously Optimistic" by Peace Now's Hagit Ofran. AFP: "Israel ministers agree to curtail settlement building"
JERUSALEM -- Israel's hawkish premier on Tuesday agreed to curtail construction in the occupied West Bank in a gesture to Washington that critics said fell far short of US demands for a settlement freeze. Prime Minister Benjamin Netanyahu, Defence Minister Ehud Barak and Housing Minister Ariel Atias agreed no new tenders for settlement construction in the West Bank should be issued until early 2010. Continue reading AFP: "Israel ministers agree to curtail settlement building". Ha'aretz: "ANALYSIS / 'Israel's No. 1 soldier' will push Obama away"
Why has ex-IDF chief Ya'alon allied himself to a far-rightist who Netanyahu called 'cancer' within Likud? Continue reading Ha'aretz: "ANALYSIS / 'Israel's No. 1 soldier' will push Obama away". Reuters: "Obama urges simultanous moves toward Mideast peace"
Continue reading Reuters: "Obama urges simultanous moves toward Mideast peace". 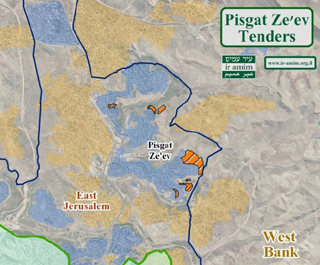 Is something new happening in the East Jerusalem settlement of Pisgat Ze'ev? Yes. According to a report in yesterday's Hebrew-language business daily "The Marker", the Israel Lands Authority has decided to accept "appeals" by contractors relating to the failed Pisgat Ze'ev tenders, and award contracts for the construction of at least 450 new units. 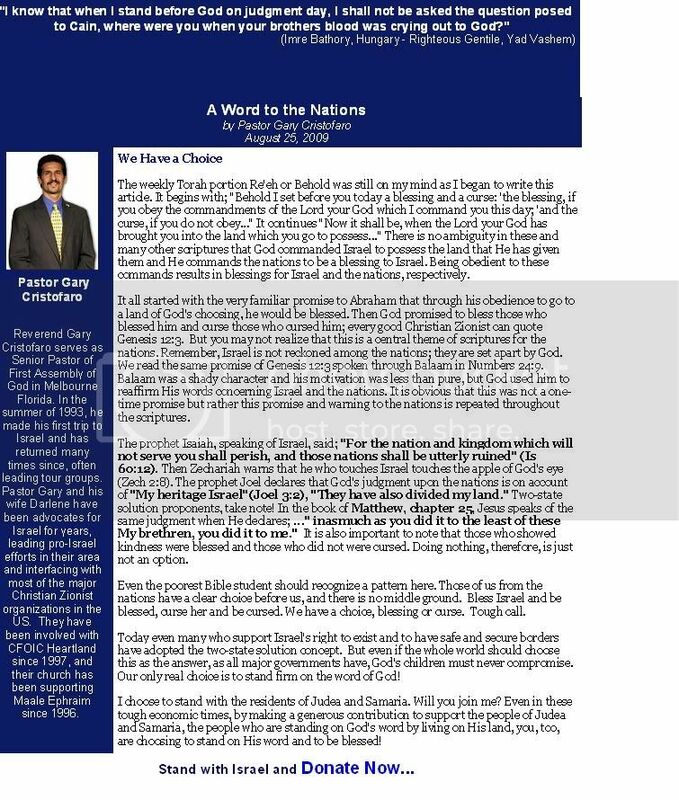 An image of the article from the print version of The Marker (Hebrew-only) can be viewed/downloaded here. Continue reading What Freeze? Netanyahu Clears the Way for 450 New Units (at least) in Pisgat Ze'ev. L.A. Times: "Despite rhetoric, Netanyahu has suspended Jewish settlement building"
Israel's prime minister has defended such projects in the West Bank. But officials say he is also quietly seeking a compromise that would facilitate a revival of peace talks with Palestinians. Continue reading L.A. Times: "Despite rhetoric, Netanyahu has suspended Jewish settlement building". Time: "Huckabee's First 2012 Campaign Stop: Israel"
Har Bracha -- the Mount of Blessing -- is a windswept hilltop settlement of Jews overlooking the Palestinian city of Nablus. According to biblical tradition, it is where Joshua and the children of Israel first entered the Holy Land. And, on Aug. 18, Mike Huckabee -- a Baptist preacher, two-time governor of Arkansas and once and perhaps future Republican presidential candidate -- received a heartfelt blessing from the local Orthodox Jewish minister. Continue reading Time: "Huckabee's First 2012 Campaign Stop: Israel". Minister of Strategic Affairs and Deputy Prime Minister Moshe "Boogie" Ya'alon (Likud) is absolutely, defiantly, and unequivocally "not afraid of the Americans." Good to know, though this does ring with a certain "the man doth protest too much" tone. As does his I-couldn't-care-less about them indictment of Peace Now and its Settlement Watch program, which he labels "a virus." Apparently he is unaware that "viral" in the current day-and-age carries less the sense of something evil and hard to get rid of, and more the sense of something that is catching and spreading in popularity at an extremely rapid rate. Like last year's Obama Girl video. Or in this case, like the information that Peace Now's Settlement Watch has been and continues to be extraordinarily effective at getting to the public on Israel's settlement activities. Continue reading Moshe Yaalon Bashes Peace Now (or, you know they're worried when they start calling you names...). Last month, members of the largest pro-Israel lobbying organization in the country gathered in Washington, DC. And no, I'm not talking about AIPAC. 4,000 evangelical Christians participated in Christians United for Israel's (CUFI) 4th annual Washington Summit on July 20-22, hearing from speakers such as Sen. Joseph Lieberman (I-CT) and Congressman Eric Cantor (R-VA), and spending a day lobbying on Capitol Hill. Continue reading Christians United for Israel?. JTA: "Israeli officials freezing settlement construction"
JERUSALEM (JTA) -- Israeli officials reportedly have agreed to freeze construction in the West Bank until the beginning of 2010. JTA first reported the unofficial freeze on July 6. Prime Minister Benjamin Netanyahu, Defense Minister Ehud Barak and Housing Minister Ariel Atias have agreed to a moratorium on building in the settlements in order to give the peace process a chance to move forward, several news outlets reported this week. Continue reading JTA: "Israeli officials freezing settlement construction". Reuters: "Netanyahu limits new projects in settlements"
JERUSALEM (Reuters) - Prime Minister Benjamin Netanyahu has refrained from initiating new housing projects in Israeli settlements in the West Bank, hoping to reach common ground with Washington, a government minister said on Tuesday. "Since the government was established five months ago, no tenders have been issued for Judea and Samaria," Housing Minister Ariel Atias said, referring to government invitations for bids for new construction in West Bank settlements. Continue reading Reuters: "Netanyahu limits new projects in settlements". AP: "Israeli officials: New West Bank projects frozen"
JERUSALEM -- Israel has quietly stopped approving new building projects in the West Bank while publicly still refusing U.S. demands for an official settlement freeze, government officials said Tuesday. President Barack Obama's administration has pushed Israel to shelve all settlement construction to allow peace talks to go forward, a demand Israel has said it cannot accept. The issue has grown into a rare public disagreement between the two close allies. Continue reading AP: "Israeli officials: New West Bank projects frozen". Continue reading The Growing (and Worrying) Influence of Religious-Nationalist Ideology in the IDF. Ynet: "Left, right-wing camps demonstrate on J'lem building issue"
Continue reading Ynet: "Left, right-wing camps demonstrate on J'lem building issue". Continue reading Special from Ir Amim's Danny Seidemann on Huckabee, the Settlers, and Jerusalem. Jerusalem Post: "Huckabee E. J'lem trip sparks showdown"
A Monday reception featuring former US presidential hopeful and leading Republican politician Mike Huckabee at the Shepherd Hotel in east Jerusalem has turned into a hotly contested venue for protests both for and against Israeli policy in the area. Two groups - Peace Now and Im Tirtzu - have called for a protest and counter-protest, respectively, on Monday evening, to coincide with the former Arkansas governor's planned appearance at the disputed east Jerusalem landmark. The groups represent either side of the growing debate over Jewish building rights in the annexed parts of the capital. Continue reading Jerusalem Post: "Huckabee E. J'lem trip sparks showdown". By all accounts the Fatah Party Congress earlier this month--the first in 20 years--was a big success. It showed democracy in action, the type that the White House would no doubt like to see throughout the Arab world, with real debate and clean elections. But it was as much about who was not in the meetings room in Bethlehem on 4th-6th August as it was about those in attendance. And those who were not in attendance are as critical to Fatah's success--and that of the Palestinian nationalist camp that Fatah represents--as those who were. Continue reading Prospect Magazine: "New hope for Palestine?" by Jo-Ann Mort. Despite being imprisoned in Israel, Marwan Barghouti proved his popularity at the Fatah party congress. Here's why the politician holds promise for his party and Hamas -- as well as Palestine and Israel in general. By all accounts, the Fatah party congress held in Bethlehem from Aug. 4 to 11 -- the first in 20 years for Palestinian President Mahmoud Abbas' party -- was a success. Continue reading Foreign Policy: "Why a Jailed Dissident is Palestine's Best Hope" by Jo-Ann Mort. 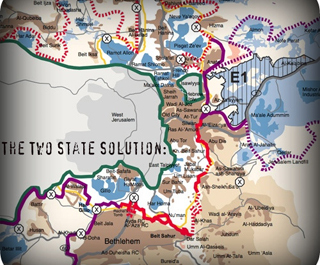 Continue reading The Two-State Solution: Never About Solving Everything. It is sitting right in front of me. A three-page cable from Boston to Jerusalem sent by consul-general Nadav Tamir expressing concern for Israel's international image following recent clashes with the US administration. I have read secret diplomatic cables for 30 years and I can testify that this is the kind of report professional diplomacy was created for. Without seeing the current diplomatic correspondence (as I am no longer a government official), I can say that this is one of the most important cables sent by an Israeli diplomat this year - or maybe even this decade. Continue reading An unconventional missive hits Jerusalem. Continue reading The 'West-Bankization' of Israel?. Haaretz is reporting today that former Arkansas governor and presidential candidate Mike Huckabee will be the guest at a huge "in-your-face-nyah-nyah-there's-nothing-the-Palestinians-or-lefties-can-do-to-stop-use" banquet at the Shepherd's Hotel -- the recently-approved Irving Moskowitz settlement project in the heart of the East Jerusalem Palestinian neighborhood of Sheikh Jarrah. For further details, see Maariv's take on the story, after the break (which mentions the settlers' plan for a major PR effort aimed at Americans, including bringing in movie stars!). Continue reading Mike Huckabee *hearts* East Jerusalem Settlers. As has been widely reported, 71 Senators signed onto the AIPAC-backed Bayh-Risch letter. APN had serious concerns about the letter, and we urged members to refuse to sign it until/unless it was first amended. We are pleased that apparently many senators shared our concerns, forcing the letter's backers to hold the letter open 5 days longer than originally intended and requiring them to exert tremendous efforts, and expend a great deal of political capital, to achieve this number of signers. Continue reading APN to Signers of Bayh/Risch Letter: Clarify Your Position. Jerusalem Post: "IDF: 12 new modular homes in Kochav Ya'acov are illegal"
The Civil Administration has issued stop-work orders on 12 modular homes that it claims have been illegally placed at the edge of a street on a hilltop within the Kochav Ya'acov settlement. Rumors swirled on Wednesday that the Civil Administration had issued demolition orders on the homes, of which at least two are already inhabited by newly arrived French immigrants. The Civil Administration said it had not yet done so, but planned to pursue the matter of the illegal homes. Continue reading Jerusalem Post: "IDF: 12 new modular homes in Kochav Ya'acov are illegal". THE FIRST IN MANY YEARS: Palestinian delegates traveled to Bethlehem from around the Arab world last week to participate in Fatah's 6th conference, the first held in 20 years, and the first ever held on Palestinian soil. Continue reading Middle East Peace Report. The leaked cable that Israel's Consul General in Boston, Nadav Tamir, sent to his superiors in Jerusalem last week is still reverberating in Israel and the U.S.In the confidential cable, which was leaked to the Israeli media, Tamir harshly criticized the Israeli government for escalating its disagreements with Washington's regional peace initiative. Continue reading Israeli Envoy Reprimanded for Asking Netanyahu to Support Obama's Peace Push. I sat down to write how troubling I found the reaction of Prime Minister Netanyahu and Foreign Minister Lieberman to the leaked cable sent by Israel's Consul General in Boston, Nadav Tamir. I was going to write about the objectionable "kill the messenger" syndrome (see the case of the Israeli government's efforts to silence "Breaking the Silence"), about the danger to Israeli democracy and the damage to the professionalism of Israeli representatives abroad (Tamir is an outstanding professional). Continue reading The Tamir Affair: Kill the Messenger. Some of the large Jewish groups were quick to cry "gevalt" at Fatah's General Assembly in Bethlehem even before the conference ended. Granted, there were inflammatory speeches and some disturbing displays of anti-Israeli sentiment. Continue reading Some Good News from Fatah's General Assembly. Continue reading August 10, 2009- Vol. 10, Issue 45. Last month, the Jerusalem Post reprinted an article by APN's president and CEO, Debra DeLee, in which she explained why the Obama administration is so keen on an Israeli settlement freeze and recommended that Israel's government work with President Obama to advance peace. The article prompted a frothing-at-the-mouth reaction by Martin Sherman, whose tagline is the "academic director of the Jerusalem Summit and lectures in security studies at Tel Aviv University." Continue reading The Sherman Solution. You know the problem isn't Arab Rejection - it's borders, Jerusalem, refugees and settlements. The issue is not Arab and Palestinian rejection of Israel's right to exist - that issue was settled in Madrid, Oslo, diplomatic relations with Egypt & Jordan and the Arab Initiative. Continue reading Disappointed with the ADL. Americans for Peace Now is a participating organization in JStreet's Conference for progressive pro-Israel, pro-peace advocates. Continue reading Register for J Street Conference Here. Continue reading Ha'aretz Editorial / Israel does have a Palestinian partner. Jerusalem Post Blog: "Suprise - Fatah isn't joining the WZO"
At its convention in Bethlehem this week, Fatah refused to recognize Israel as a Jewish state or adopt Hebrew as its official language, and didn't conclude with a rendition of HaTikva (Israel's national anthem). What a disappointment, what a blow to the champions of peace. Continue reading Jerusalem Post Blog: "Suprise - Fatah isn't joining the WZO". 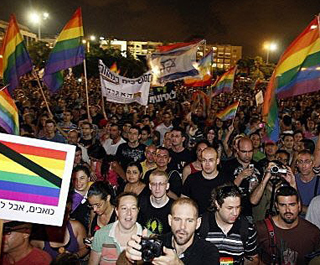 Israel's Peace Now movement and Americans for Peace Now express solidarity with the gay and lesbian community in Israel, following the attack on the gay youth center in Tel Aviv, and strongly reject the intensifying violence and intolerance within Israeli society. Continue reading Peace Now and APN express solidarity with the Gay community. Jordan's Foreign Minister Nasser Judeh tells APN that he supports "sequential, reciprocal, concurent" measures to be taken by Israel and the Arab world in support of credible negotiations of a regional peace deal, but comments that no "unilateral action" should be taken, which might undermine peace efforts. Continue reading APN podcast with the Jordanian Foreign Minister. 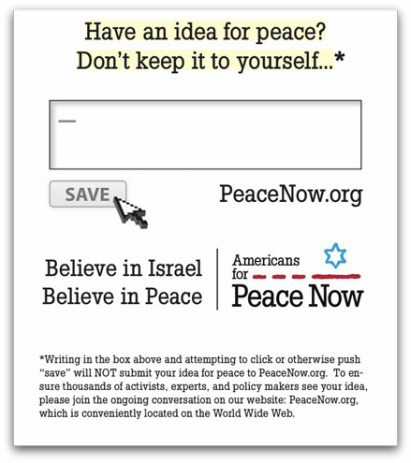 On August 4, the Anti-Defamation League (ADL) published a full page ad in the New York Times challenging President Barack Obama's approach to bringing peace to Israel. The ad urged the Obama administration to stop pressuring Israel over settlements. "The settlements are not the impediment," it claimed. Continue reading Action Alert: Tell the ADL to stand for peace for Israel. Excerpt: "A democratic state that strives for peace and justice simply has no right to uproot families who became refugees in 1948. They left homes in West Jerusalem behind them, and were subsequently granted modest accommodations by the Jordanian government. The claim that the houses in Sheikh Jarrah were purchased by Jews in the early 1900s is a double-edged sword that opens a political and legal Pandora's box." Abe Foxman is a smart person, a responsible person, an honorable person with a strong moral core. I have known him for years and I respect him. Continue reading Foxman's Red Herring. Guardian: "Israel's evictions upset even its friends"
It isn't necessary to be unduly cynical to wonder exactly what it takes for British diplomats to be "appalled" by anything. But that was the reaction to Israel's eviction of Palestinian families from the east Jerusalem neighbourhood of Sheikh Jarrah - the ugly face of ethnic cleansing and the creation of new "facts on the ground" that make nonsense of hopes for any movement in the moribund peace process. Continue reading Guardian: "Israel's evictions upset even its friends". by Roi Sharon -- Clear air, a desert view, a swimming pool, a Jacuzzi and an ecological environment. This is not a moshav in the Arava, not even an hotel on the Dead Sea--but rather an outpost beyond the Green Line, in eastern Binyamin. After the settlements realized that they could also make money from tourism, recently even the illegal outposts have begun to offer B&Bs. In the outpost of Mitzpe Hagit in the Judean Desert, and also a few kilometers north of there in the Keda outpost, two guest cabins were put up that overlook the Jordan Valley. Continue reading Ma'ariv: "Outpost Vacations". A Civil War in Israel Over the Settlements? In the past few weeks as rumors of a possible US-Israeli deal for a partial West Bank settlement freeze have surfaced, opposition to such an agreement has grown in orthodox Religious Zionist and right-wing circles in Israel. This opposition has not only threatened to exacerbate tensions between orthodox and non-orthodox Jews in Israel and in the United States, but also to create the conditions for a civil war in Israel. Continue reading A Civil War in Israel Over the Settlements?. AFP: "Clinton slams Israeli evictions of Palestinians"
WASHINGTON -- US Secretary of State Hillary Clinton on Monday said Israel's evictions of Palestinian families from east Jerusalem are "deeply regrettable" and urged the close US ally to refrain from such "provocative" actions. Continue reading AFP: "Clinton slams Israeli evictions of Palestinians". The New York Times reported yesterday that President Obama and Special Envoy Mitchell have decided that it is time (finally) to launch some public diplomacy in support of their Middle East peace efforts. This is great news. Until now, Obama and Mitchell have left it to Israeli officials (who appear to view leaking as a full-contact sport), skeptics/opponents of pressure on Israel in the US (especially in the Jewish community), and journalists (who are happily eating up the spin of the former two groups, in the absence of any counter-spin from US officials) to frame the public discussion of the issue. Indeed, the NYT reports that the campaign, "amounts to a reframing of a policy that people inside and outside the administration say has become overly defined by the American pressure on Israel to halt settlement construction on the West Bank." All we can say is: Kol hakavod. Yossi Alpher is an independent security analyst, co-founder and co-editor of the Israeli-Palestinian internet dialogue bitterlemons.org and Middle East roundtable bitterlemons-international.org. He is the former director of the Jaffee Center for Strategic Studies at Tel Aviv University, and a former senior official with the Mossad, Israel's national intelligence agency. His views do not necessarily reflect those of Americans for Peace Now or Peace Now. Continue reading Hard Questions, Tough Answers with Yossi Alpher - August 3, 2009. In the course of what was likely intended as a critique of the Obama administration's Middle East policies -- specifically, its pressure on Israel regarding West Bank settlements -- Abraham Foxman, national director of the Anti-Defamation League, last week made an astonishing admission. As many of his colleagues at the helm of major American Jewish organizations, Foxman has over the years by and large been a conventional apologist for Israel. Now and then, he has staked out a somewhat independent course, but last week brought a full-throated, if inadvertent, reversal. Continue reading You can't have it both ways. On freedom of expression: "The Israeli public believes in freedom of expression as a general value, but for the most part refuses to allow harsh criticism to be expressed against the state. 74% support 'Freedom of expression for everyone, regardless of their opinions.' However, 58% agree that "political speech should not be permitted to express harsh criticism of the state of Israel.' This is a significant increase as compared to 48% in 2003." The mantra of many in the Jewish community, and especially of the current Israeli government, that Jerusalem is the eternal, undivided capital of the Jewish people, does nothing to resolve the current stalemate over the city's status. Nor does saying those words make Jerusalem truly undivided. Most Jews - including those who live there - never experience the full breadth and depth of Jerusalem. Rather, they stop at the imaginary line where a wall once divided west from east before 1967, as if it were still a divided city. Continue reading Ha'aretz: "More than a theme park" by Jo-Ann Mort. IPS: "MIDEAST: Obama Maneuvres Between Jewish Israelis, Jewish Americans"
"...other more reliably pro-peace organisations in the Jewish American community like Americans for Peace Now and J-Street have made support of Obama's stand on the settlements a centrepiece of their increasingly successful nationwide organising." Continue reading IPS: "MIDEAST: Obama Maneuvres Between Jewish Israelis, Jewish Americans". Israel and America are having one of those periodic marital spats they have had over the years, replete with "I-am-not-taking-any-more-of-your-guff" outbursts by Obama officials at American Jewish leaders, and, yes -- it wouldn't be a real Israel-U.S. dust-up without it -- Israeli accusations that Jewish Obama aides are "self-hating Jews," working out their identity crises by working over Israel. Having been to this play before, and knowing both families, I'd like to offer some free marriage counseling. Continue reading Free Marriage Counseling. Jerusalem Post: "Rally planned to prevent outpost home demolition"
Peace Now claims that the entire outpost is built on private Palestinian land. The larger petition against the outpost, which has 17 permanent homes and 15 caravans, was filed by eight Palestinian farmers from the village of El Khader, together with Peace Now. Continue reading Jerusalem Post: "Rally planned to prevent outpost home demolition". Mail & Guardian: "Obama's litmus test"
Yariv Oppenheimer, the secretary general of Peace Now, is not optimistic about a peace breakthrough. If the regional settlement sought by Obama was to be attained, Oppenheimer said, Israel needed a "big leader" such as Ariel Sharon. Continue reading Mail & Guardian: "Obama's litmus test".